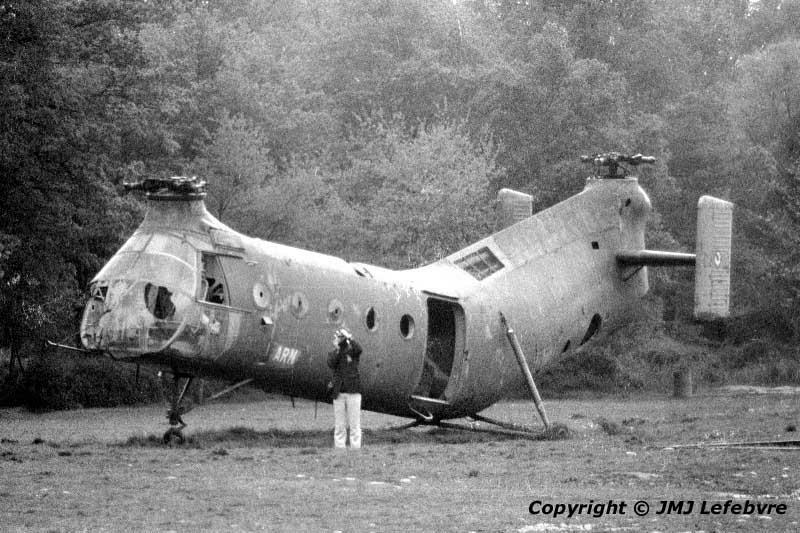 A stop at the south-west French Paratroopers Instruction Center of Pau revealed this body of Piasecki H-22 Shawnee, the type was used in Algeria during 1954-62 where it was familiarly called "Flying Banana". It was used at the Center to learn commando technics for landing or intervention directly inside limited ennemy troops concentrations to eliminate them from the helo. Note the trees completely coloured by the various smoke markers used during instruction. The year 1971 saw an activity of 41 flight hours with cargo helicopters and 18 with light helos.